Safety Maurice Alexander is now officially a former Seahawk, tweeting on Friday that he has signed with the Buffalo Bills, a move later confirmed by the team. The Bills intriguingly listed Alexander as a linebacker, a position he played a little bit for the Seahawks in the preseason last year, used at weakside linebacker in the wake of the injury to K.J. Wright. But his primary position has been safety, and that’s where Seattle had him listed as last season. Alexander is the seventh of Seattle’s 13 unrestricted free agents to move on, and another who was not a surprise with the Seahawks appearing ready to explore other options for filling out the back end of its safety position in 2019. 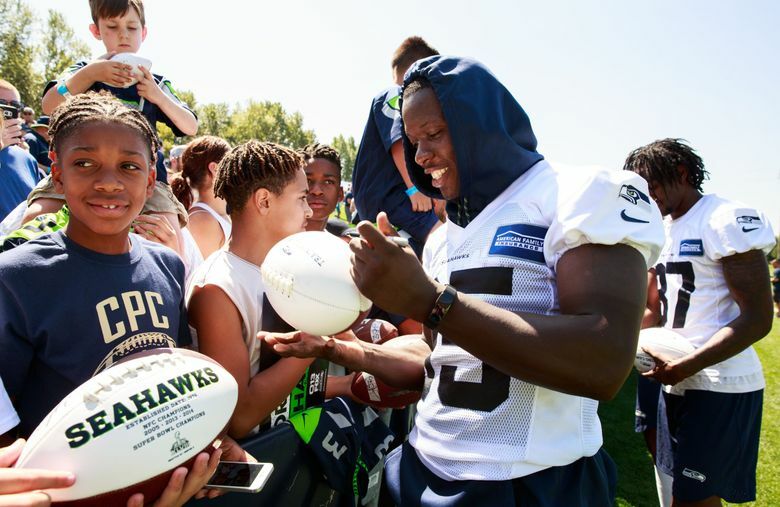 Alexander was with the Seahawks throughout training camp after signing last March as a free agent — he had played four previous seasons with the Rams. Alexander was released in the initial cut down to 53 players but re-signed following Earl Thomas’ season-ending injury. He played in nine games the rest of the season but saw no snaps on defense, playing solely on special teams — he had 133 special teams snaps, via Pro Football Reference. Alexander’s departure leaves Seattle with six safeties on its roster, but essentially five because one is Kam Chancellor, who is expected to be released before the season. The others are free safeties Tedric Thompson and Bradley McDougald (who can play both but it listed by the team at free safety) and strong safeties Delano Hill, Shalom Luani and Marwin Evans. Seattle won’t go to training camp with just five safeties, so expect the Seahawks to add a few through the draft and/or free agency. But the Seahawks may also feel pretty comfortable that the five they have on the roster could form the four or five they will keep for the season. McDougald, entering the second season of a three-year, $13.5 million deal is a given to start at one safety spot with the big question seeming to be which of Thompson or Hill — each entering their third seasons — will earn the other starting spot. If it’s Hill, then McDougald can move to free safety (and recall that Seattle uses its safeties at both spots quite a bit anyway) and if it’s Thompson then McDougald lines up primarily at strong safety. At the moment, Lunai would project as the fourth safety after being acquired for a seventh-round pick shortly before last season and getting increasing playing time as last season wore on (with 188 special teams snaps overall, all but 10 after Thomas was injured). The Seahawks signed Evans before the playoff game after Hill was injured and then re-signed him after the season. Evans did not appear in any NFL games last season but did play in 32 for Green Bay in 2016 and 2017. Interestingly, he also attended Utah State, as did Alexander. Evans will make $645,000 in 2019 which would be less than whatever Alexander has signed for with the Bills (details weren’t yet announced but the least he could make is $805,000. Other Seahawks UFAs who have signed elsewhere are: Thomas (Baltimore), cornerback Justin Coleman (Detroit), guard J.R. Sweezy (Arizona), running back Mike Davis (Chicago), defensive tackle Shamar Stephen (Minnesota) and quarterback Brett Hundley (Arizona). Seattle re-signed three of its UFAs — Wright and linebacker Mychal Kendricks and guard D.J. Fluker. Three UFAs remain unsigned — kicker Sebastian Janikowski, defensive end Dion Jordan and cornerback Neiko Thorpe. The Seahawks are currently projected by OvertheCap.com to get four extra draft picks in 2020 as compensation for free agent losses, the maximum a team can receive. But Alexander’s signing could allow Seattle to sign another player to a similar deal without risking any of the four picks it currently has.